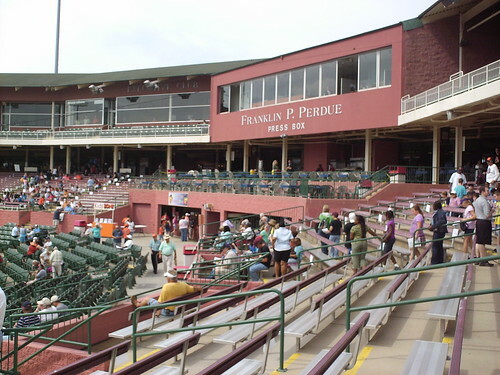 The view from behind home plate at Purdue Stadium. 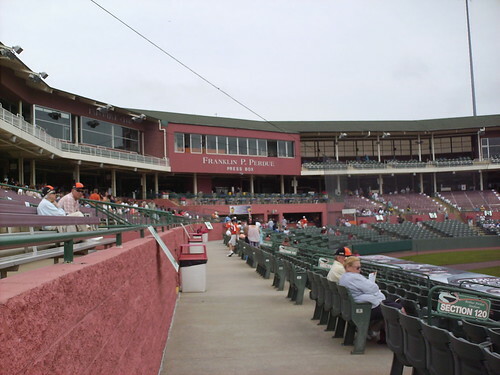 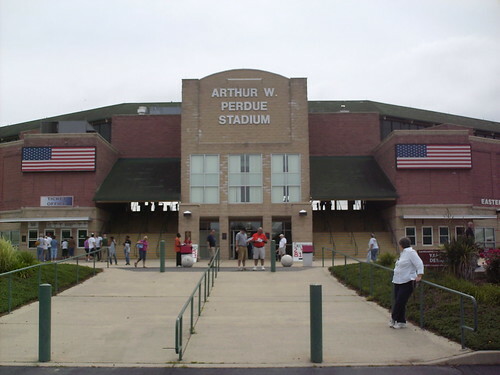 The grandstand and pressbox at Perdue stadium are made of a distinctive red concrete. 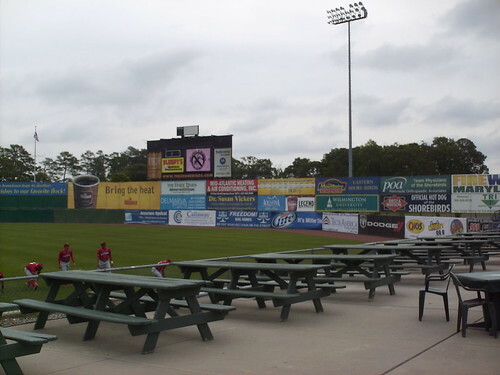 The picnic area, and the scoreboard in right field. 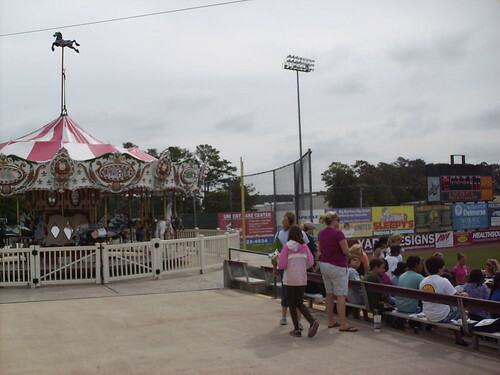 The carousel on the concourse, a staple of Maryland minor league baseball. 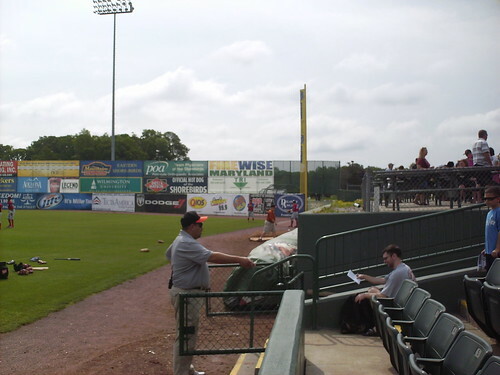 The outfield wall curves in at each corner, leading to short distances of 309 feet to each foul pole. 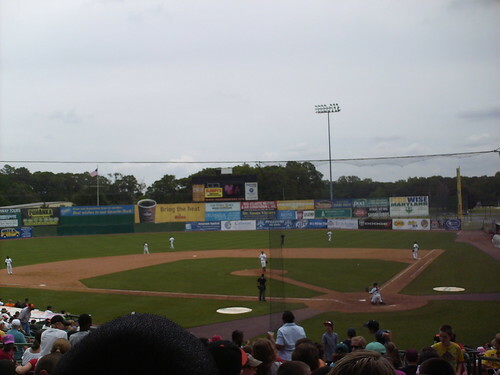 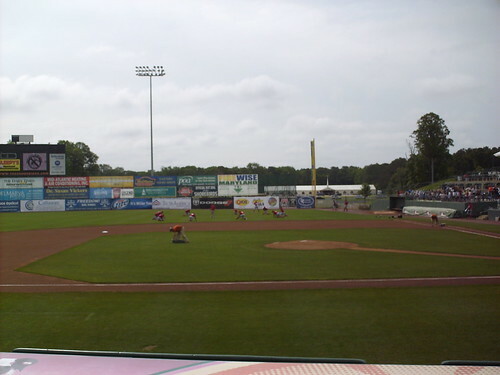 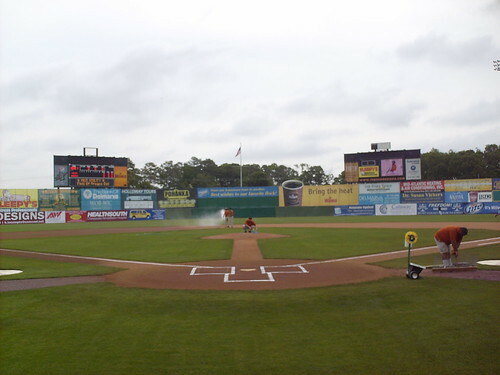 Behind home plate are a box seating area, a unique mid-grandstand concession stand, and a picnic deck below the pressbox. 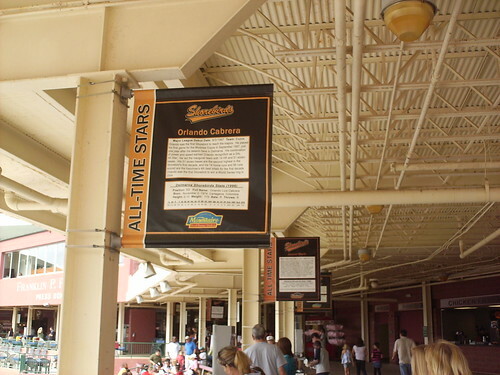 Banners along the concourse pay tribute to former Shorebirds, including inaugural Shorebird and 2004 Red Sox World Champion Orlando Cabrera. 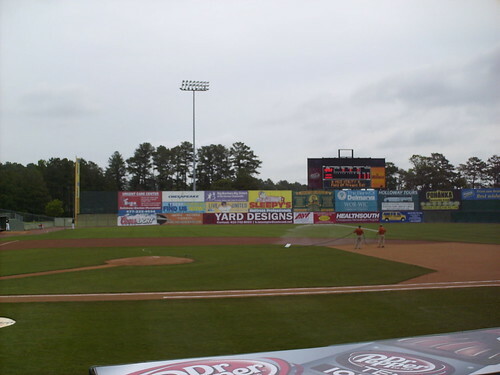 The Delmarva Shorebirds on the field at Perdue Stadium.